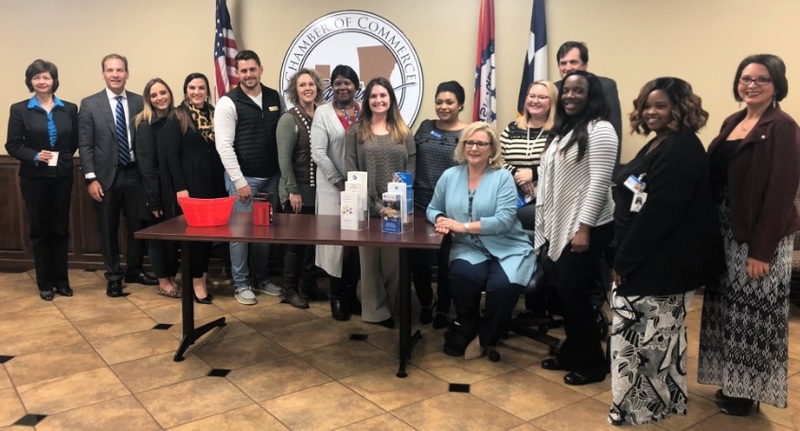 The Texarkana USA Chamber of Commerce held a Meet & Greet for Opportunities, Inc. Executive Director, Sherry Young, and Development Leader, Natalie Conway. There was a great turnout with several different Chamber Member businesses there. The picture only includes a few people that were in attendance. This was one of our networking events during the Chamber of Commerce Week this week. We still have a few more to come. Thursday (Oct 18) – Business After Hours at Coldwell Banker Elite from 4:30-6:30 pm- 4321 McKnight Rd, Texarkana, TX. Friday (Oct 19) – Ribbon Cutting at Starling Clinic at 11:30 am- 5503 N State Line Ave, Texarkana, TX.